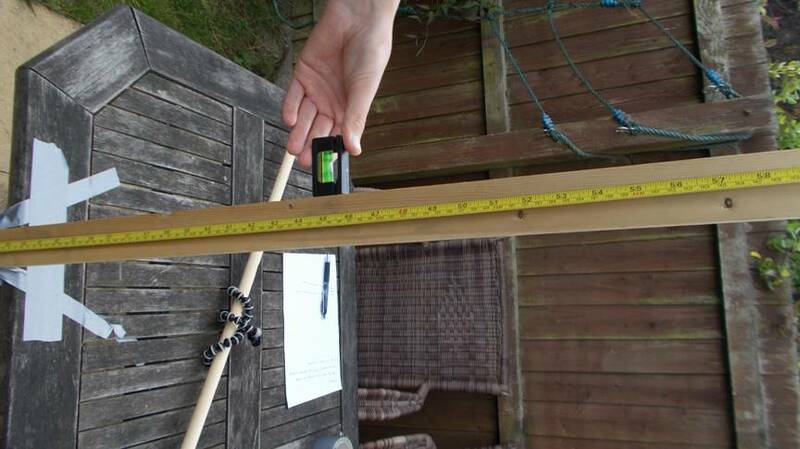 My aim was to measure a simplified, one dimensional, version of the slingshot affect used to increase the velocity of a spacecraft. I measured the drop height of two balls, one substantially bigger than the other. I then released them and after they were reflected off the ground, measured the height the smaller ball went to. 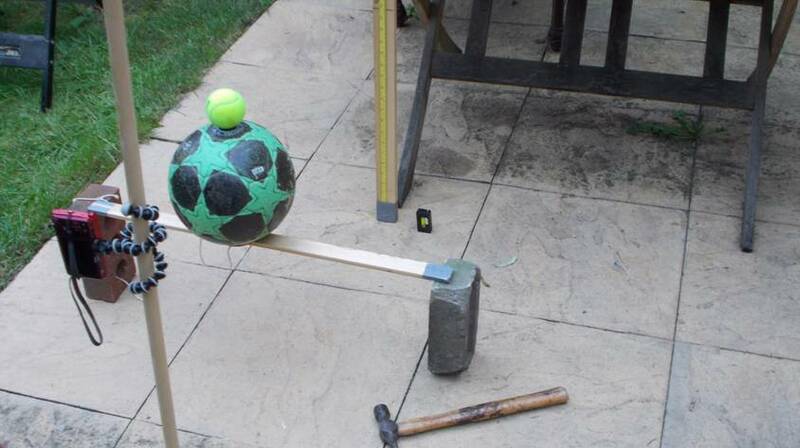 The bigger ball gave the smaller ball a “kick”, due to conservation of momentum, accelerating the ball and increasing its final velocity meaning that the ball was able to travel higher than its original drop height. In this experiment I dropped a yellow tennis ball, of radius 3.25, on top of a size 5 football, of radius 10.95, with a rubber washer, of thickness 3mm, inner radius of 1cm and an outer radius of 1.65cm, separating them. I dropped the balls from varying heights between 37. 25cm and 116.35cm.